Developmental Reading Disorder or Dyslexia as it is commonly called is a reading disability. It occurs when areas of the brain that helps process and interpret language do not recognize or process certain symbols that is being read. Contrary to some beliefs, it is not caused by eye or vision problems. Dyslexia is a specific information processing problem. It doesn't interfere with how a person thinks or understand complex ideas. Most dyslexic people have normal intelligence, and many have above-average intelligence. 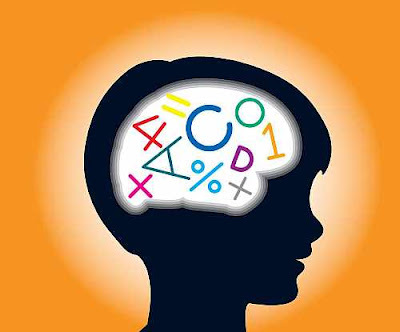 Developmental Reading Disorder (DRD) may appear in combination with developmental writing disorder and developmental arithmetic disorder. All of these involve using symbols to convey information. These conditions may appear alone or in any combination. DRD often runs in families. In the December 22 issue of Neuron (a journal published by Cell Press), they note that although disrupted processing of speech sounds has been implicated in the underlying pathology of dyslexia, the basis of this disruption and how it interferes with reading comprehension has not been fully explained. The published research finds that a specific abnormality in the processing of auditory signals accounts for the main symptoms of dyslexia. Phonological Dyslexia - Difficulty separating component parts of a sentence (syllables, sounds, etc). Dyscalculia - Problem with basic sense of number and quantity and difficult retrieving rote math facts. Dysgraphia - Disorder which expresses itself primarily through writing or typing. The team looked into whether an abnormality in the early steps of processing of auditory signals in the brain, called "sampling" is linked with dyslexia. They focused on the idea that an anomaly in the initial processing of phonemes, the smallest units of sound that can be used to make a word, might have a direct impact on the processing of speech. Dyslexia is a difficult disorder to have as a child. People tend to misunderstand it and incorrectly label the child as a slow learner. These children may grow up with poor self esteem, shy, and aloof. Learning disorders, such as DRD, tend to run in families. Affected families should make every effort to recognize existing problems early. There are a lot of programs for those affected with DRD and early intervention will provide the best possible outcome.